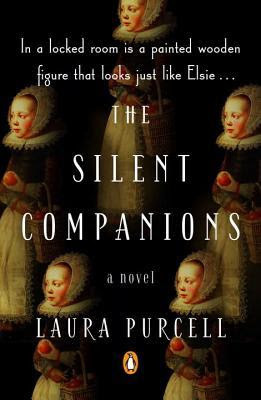 Channeling tones of Daphne Du Maurier, Laura Purcell's Gothic tale of The Silent Companions is a must read for those who enjoy feeling like they are being watched. Prepare for goosebumps as you visit the English estate of the Bainbridge family with Elsie as she prepares for her upcoming lying in as a widow. The house is a decaying estate set amongst the poorest of the villages complete with rising mists and clawing vines. This is where Elsie's new husband has died, and is Elsie's first visit. Mystery surrounds the death of her husband but Elsie is more concerned with the scratching sounds in the night and the mannequins that seem to appear out of nowhere. The novel does a bit of a time slip from Elsie's late 1800's period to the Charles I 1600's through the diary of Anne Bainbridge once Elsie's companion Sarah Bainbridge begins to read her ancestor's diaries. Elsie and Sarah attempt to thwart the evil nuances that follow them but as it happens the novel begins as Elsie is in an asylum and so we know right away what poor Elsie's fate is. The diary speaks of Sarah's daughter Henrietta Maria and the herbs and tisane that were used to conceive Henrietta Maria - alluding to the evil beginnings of the child who was born with a shriveled tongue. The back and forth of the narrative of Elsie's past and her current state and then the developing story told through the diaries are well presented and easy to follow. The story carries the atmospheric tones throughout as the reader tries to understand why all the evil events are happening around Elsie. I read the novel quickly and still it stayed with me after the last page perhaps wishing the book could have been a bit longer. I would have really liked to read more from the 1600's plot line and the point of view of Anne Bainbridge and her family. There was a lot of time spent to demonstrate Elsie's time in the mental health unit before we could really understand why she was there in the first place. After reading The Silent Companions it was hard to decide what to read next -- I didn't really want to close that book and move on. I am intrigued enough to follow the author to see what tale she spins next and happy to learn that she has a Georgian Queens series that I can put on my to be read list. When I was notified this book was available to review on NetGalley I jumped at the chance without much of a thought. I vividly remember the last two books from Robin Oliveira and how I enjoyed them very much and I knew whatever the book was it would be worth my sacrifice of taking the time to review it. I love the way the author writes -- it is fluid and melodic and keeps me intrigued from start to finish. What was a pleasant surprise is that this novel brings back characters from My Name Is Mary Sutter, which was about the rarity of a woman becoming an accepted doctor in Civil War times. The story is now focused on Mary's extended family who suffer from an epic northeastern blizzard and the subsequent search for the two young girls who are missing since that storm. I may not have been fully prepared for the horrors of the tale as it progressed, but yet the sordidness of the story is handled delicately and with as much emotion as can be portrayed on paper through the well drawn characters. 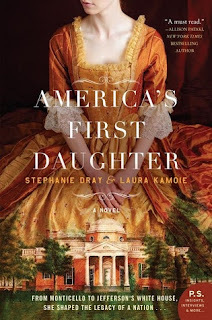 There is no need to go into a lengthy summary of this novel as you can surmise enough from the book description and I beg you to experience it firsthand as I recommend this for fans of historical fiction set in America. Robin Oliveira is three for three in my book! 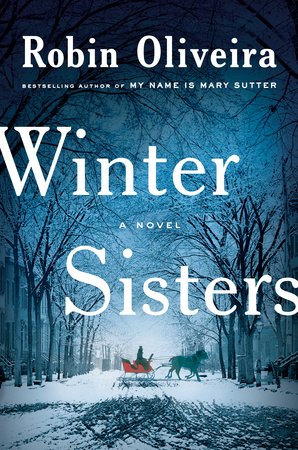 I found Winter Sisters to be captivating, horrifying, historical and yet a timeless representation of the prejudices of man and the evil that exists among us. Seeking redemption is our only hope if you can survive the storm.